Lovely bright rainbow colors on copper disks make some striking pendants. I love playing with my torch to create these dazzling colors; no two are the same! 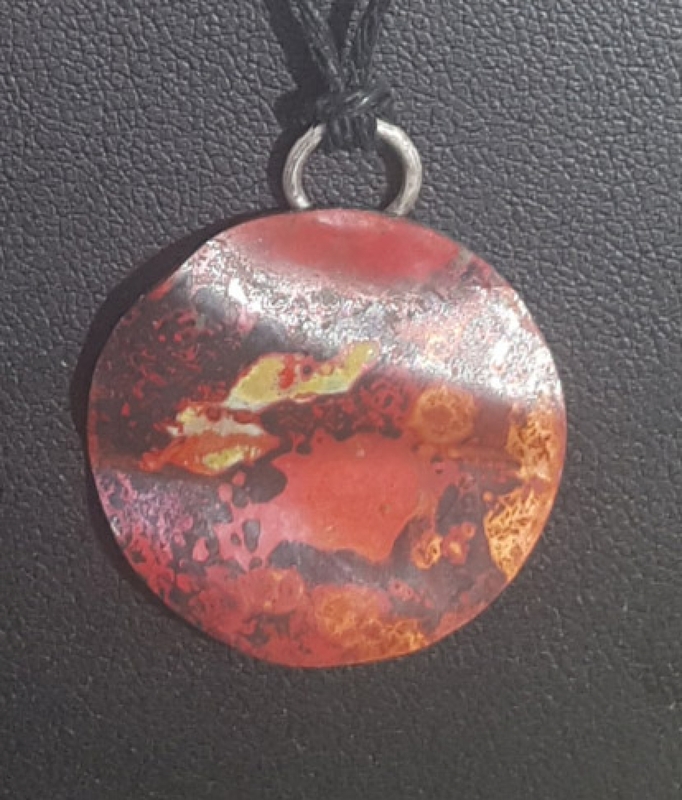 This particular pendant has a wavy surface with a sterling bail. A 20-inch black hemp cord necklace (sterling spring clasp) is included with this 1-inch pendant. The copper is sealed to protect the colors.